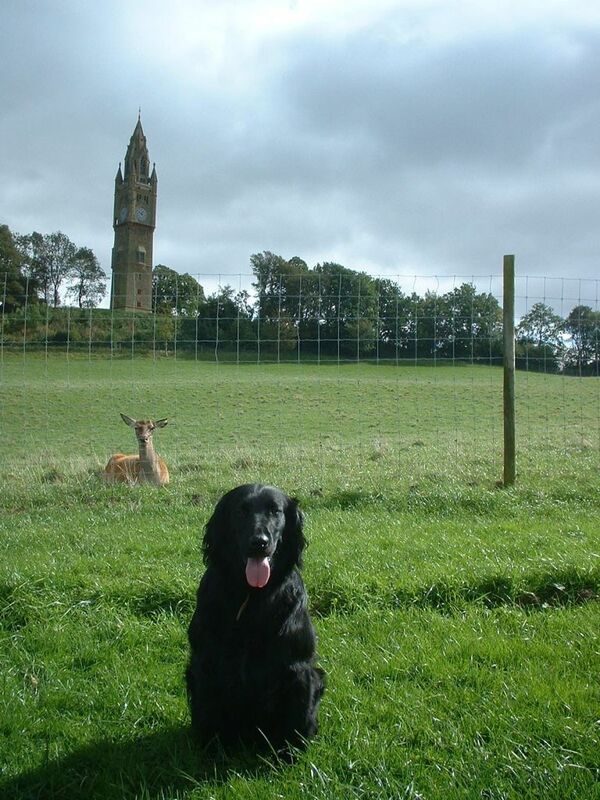 I run a small family breeding Kennel in the heart of the beautiful Worcestershire countryside under the imposing Abberley Clocktower, hence my Affix 'Clocktower'. I breed Flatcoated and Have one pair of Sealyham terriers. I believe that the first weeks of a puppies life are so very important for its future health and behaviour. Cleanliness, the best nutrition, health care and gentle handling are just some of the components of a healthy start. 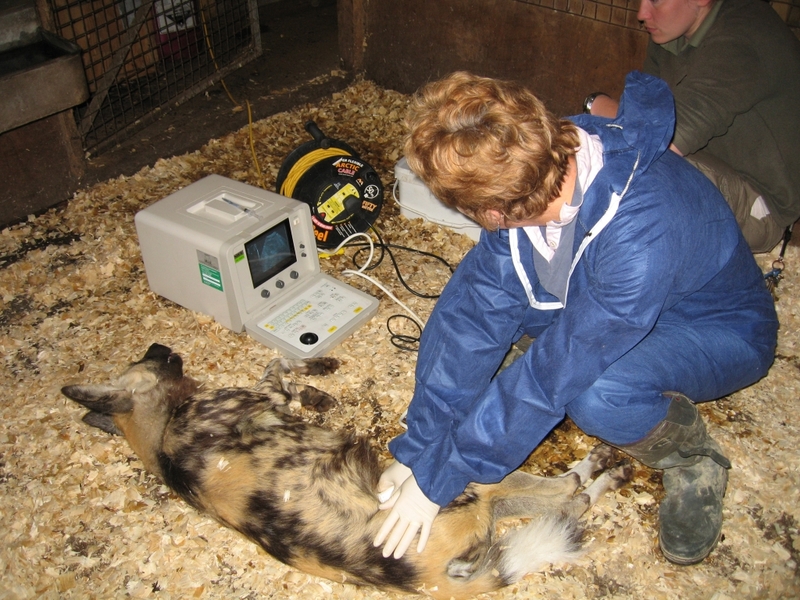 My breeding dogs have all undergone the relevant hip and eye checks as recommended by the kennel club. 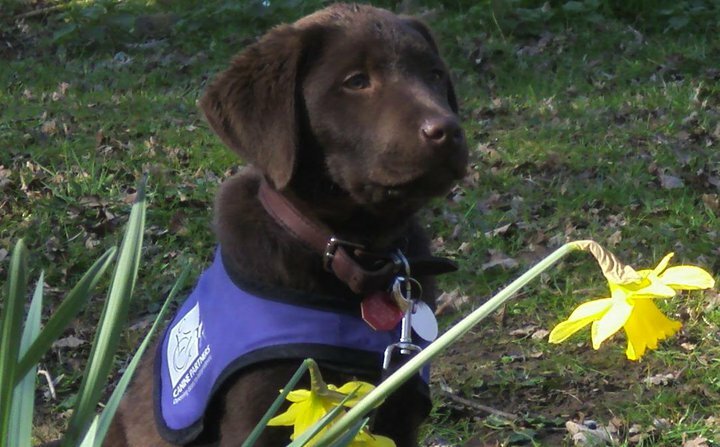 Many of my puppies have become guide dogs, canine partners, dogs for the disabled and hearing dogs for deaf people. This is something I am very proud of. I am always happy to discuss the owning, training, breeding of dogs. Please have a browse through this web site and have a look at the gallery pages where you will find pictures of my dogs and the photos that people who have one of my puppies send me of them in their new homes. 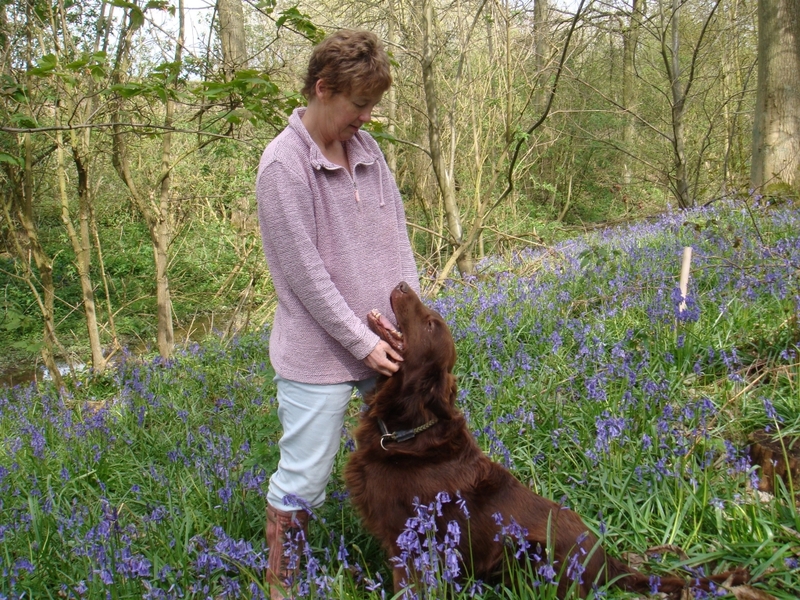 Me and my lovely Jim in the Bluebell wood.